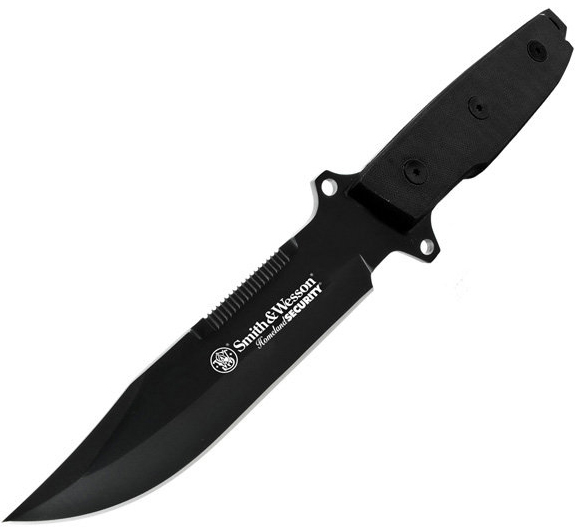 The Smith & Wesson Homeland Security CKSUR4N is a large fixed blade tactical knife. This drop point blade has partial serrations on the spine. It also features G10 handle scales on the full tang blade. This big, bad knife is ready for action. Comes with a ballistic nylon sheath that has a pouch on the front for the included sharpening stone.